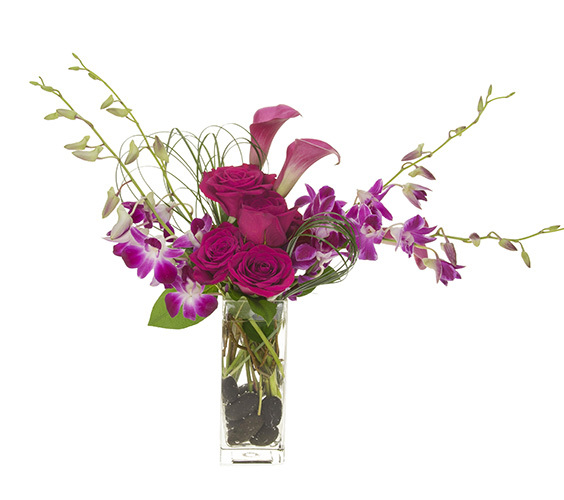 Exotic Orchids, classic Roses, and gorgeous colored Calla Lilies are anchored with black rocks in a contemporary glass vase. Strands of Bear Grass add interest and the feeling of movement to this striking design. Approximate size: 14” h x 9.5” w.
* Note -Dendrobiums may vary in shade from magenta to lighter pink.